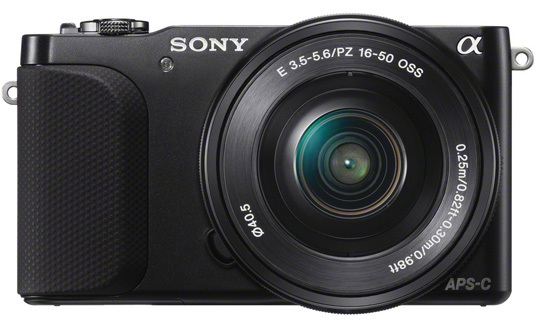 Sony has introduced a new addition to its Alpha NEX camera lineup, the lightest and the smallest mirrorless NEX-3N camera. The super-compact camera features a 16.1MP Exmor APS HD CMOS sensor, E-Mount interchangeable lens system, a 3-inch tiltable LCD screen with 912K , a pop-up built-in flash, BIONZ image processor, a Hybrid AF autofocus system and a 1080p full HD video function. 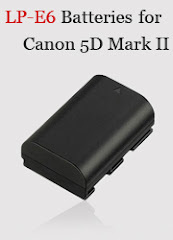 The NEX-3N is intended for someone who is looking for a step up from his/her existing fixed-lens compact camera. The new camera is expected to hit Europe stores sometime in March. US consumers will be able to buy the camera at the end of March for $499.99. Moving up from your fixed lens camera? Travel light with the compact, easy to use NEX-3N E-mount camera with built-in flash – an exciting introduction to the world of interchangeable lens photography by Sony. Self-portraits have never been simpler with the NEX-3N, thanks to the camera’s easy-to-hold textured grip that fits reassuringly in the hand. The crisp, bright 7.5cm (3.0-type) LCD screen instantly flips through 180 degrees for fuss-free arm’s-length compositions. What’s more, a newly-added zoom lever on the camera body allows smooth, fingertip control of focal length with compatible lenses like the slim, light SELP1650 power zoom. Great for one-handed portrait framing, the zoom lever also adjusts digital zoom if you’re not using a powered lens. All serious photographers know that great photos start with a great composition. Brand new Auto Object Framing helps you get better-looking, more professional results without effort. The camera judges what’s in the scene – one person, two people or even macro and moving objects – automatically cropping the shot to create more powerful, professionally-framed compositions. Weighing approximately 210g, the NEX-3N is the world’s smallest, lightest interchangeable-lens camera with a large APS-C sized sensor*. Grabbing more light than the sensor in ordinary compact cameras, it’s the big sensor that’s key to exquisitely detailed photos and sparkling Full HD movies that stand out from the crowd. What’s more, it’s easy to create pro-style background blur effects with your collection of interchangeable E-mount lenses… just like you’d achieve with a bigger, bulkier DSLR camera. The camera’s large sensor also boosts maximum sensitivity to ISO 16000. It’s complemented by an evolved BIONZ processor that uses the same area-specific noise reduction techniques featured on the acclaimed full-frame α99. Levels of noise reduction and sharpness are individually adjusted for different image areas. Even if you’re shooting in dim light, you’ll enjoy crisp, ultra-low noise handheld shots without needing flash. The NEX-3N is also the first NEX interchangeable lens camera from Sony that offers support for new “TRILUMINOS Colour”. You’ll experience a dramatically expanded palette of vivid, ultra-realistic colours when videos and still images are played back on any BRAVIA TV with support for “TRILUMINOS Display”. There’s now a range of thirteen high-quality E-mount lenses to realise the immense creative potential of the NEX-3N. Choose from telephoto, zoom, wide angle, macro lenses by Sony and Carl Zeiss to suit any shooting situation. Every model blends superb optical performance with elegant looks to complement your E-mount camera. There’s also a full range of coordinating accessories by Sony, from style-matching carry cases and straps to spare batteries. The light, compact new NEX-3N interchangeable lens camera from Sony is available in Europe from March 2013.